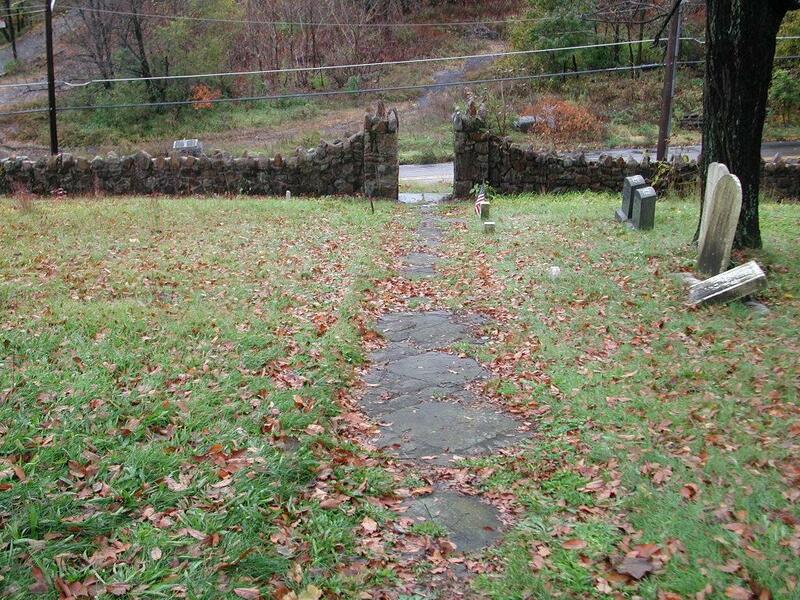 Old St. Clair Cemetery, Schuylkill County, Pa.
Saint Clair, Schuylkill County, Pa. 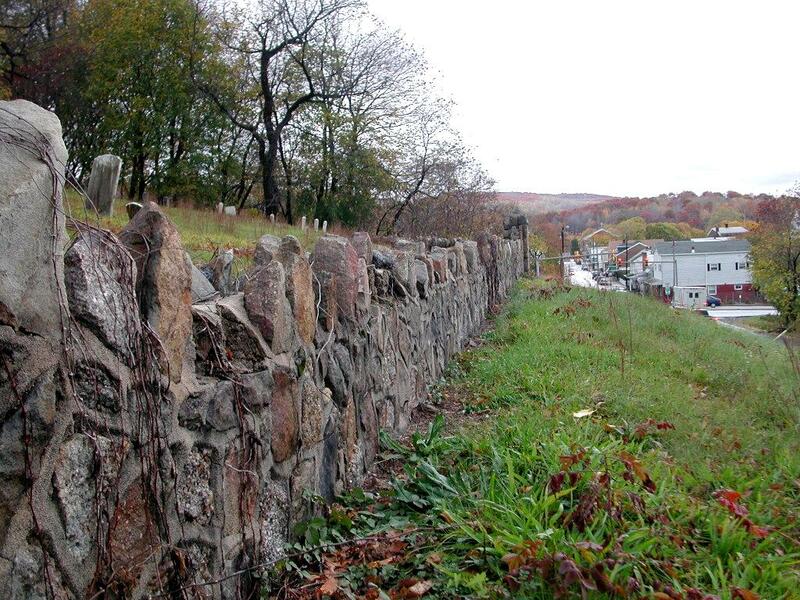 This cemetery, which is surrounded by a stone fence, is located on a hill on the right hand side of the road on Hancock Street, which just off Route 61, and adjacent to "Arnouts Addition." 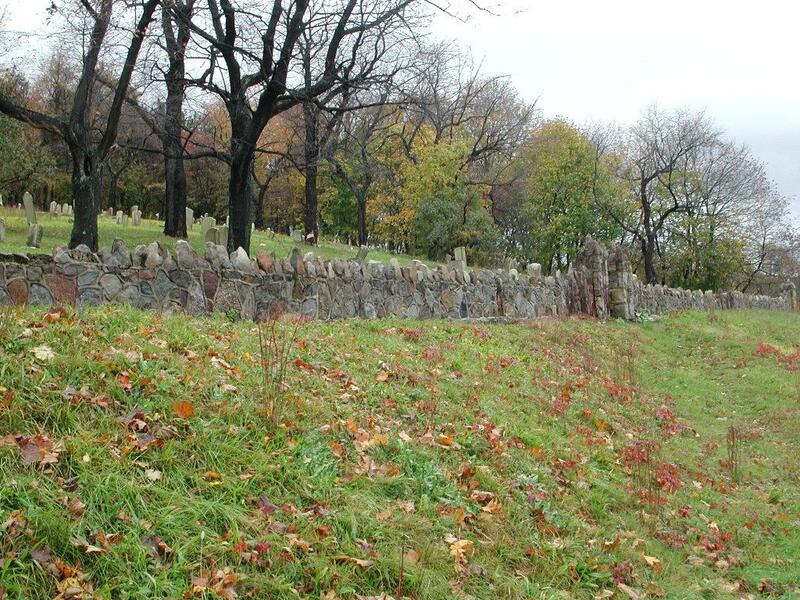 The cemetery is owned and cared for by the borough of St. Clair, which appears to do a good job of keeping grounds clear of debris and vegetation and cutting the grass. 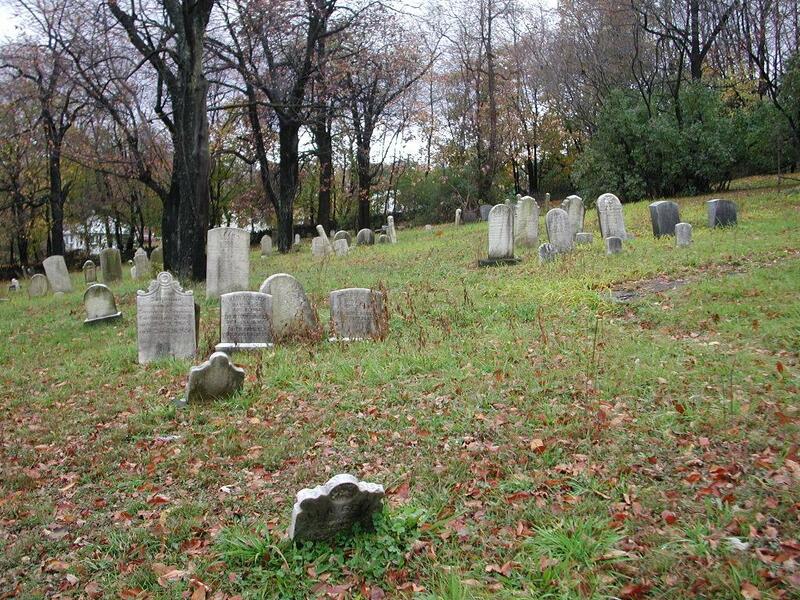 Nevertheless, most of the markers left standing are difficult to read, and it is likely that many markers that once stood are now missing. 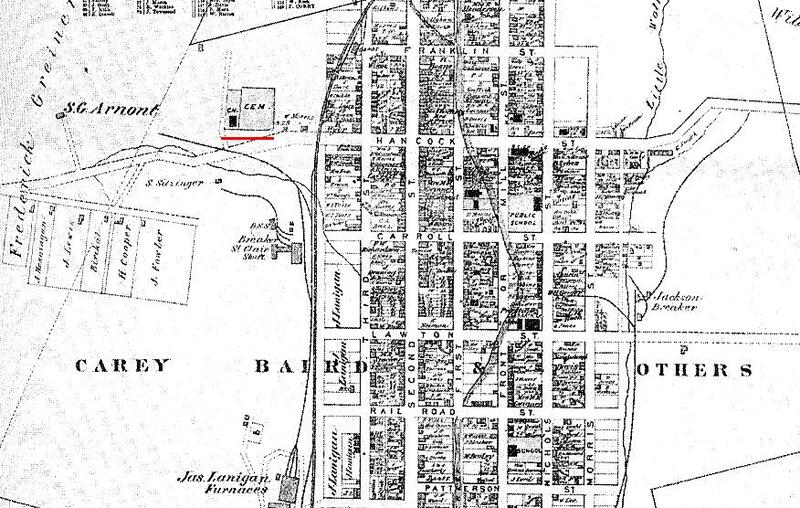 The image immediately below is an 1875 property map of St. Clair (Beers and Cochran, County Atlas of Schuylkill, Pennsylvania, 1875), which clearly shows the location of the cemetery, (underlined in red), and an adjacent church just outside the borough. I have not yet been able to discover the name of this church or its history. 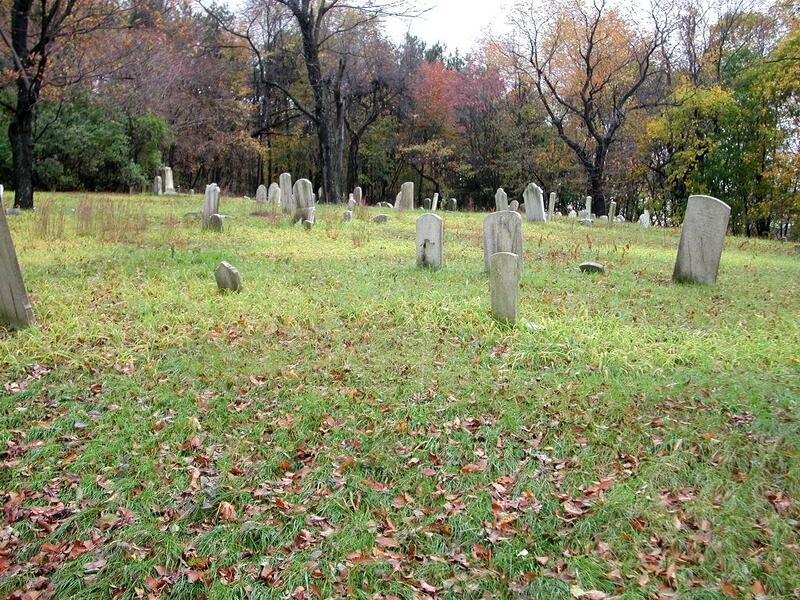 A survey of the cemetery by Gayle T. Clews, along with burial permit records maintained in the Borough Hall, provide a record of the individuals interred in the cemetery. Both records are available at the Historical Society of Schuylkill County located in Pottsville. 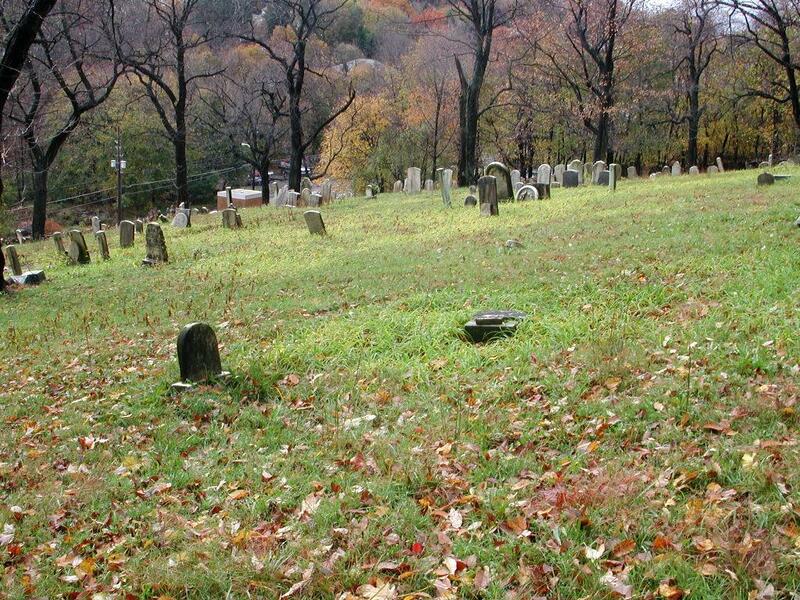 My Thomas ancestors and family members, coal miners from Brynmawr, Breconshire, Wales, emigrated as a group to Pennsylvania in the late 1840s, and while my great-great grandfather, John J. Thomas, went immediately to Scranton, his mother Mary (b.1792) and brother Jeremiah, are both present in the 1850 census of Newcastle Township, near St. Clair. 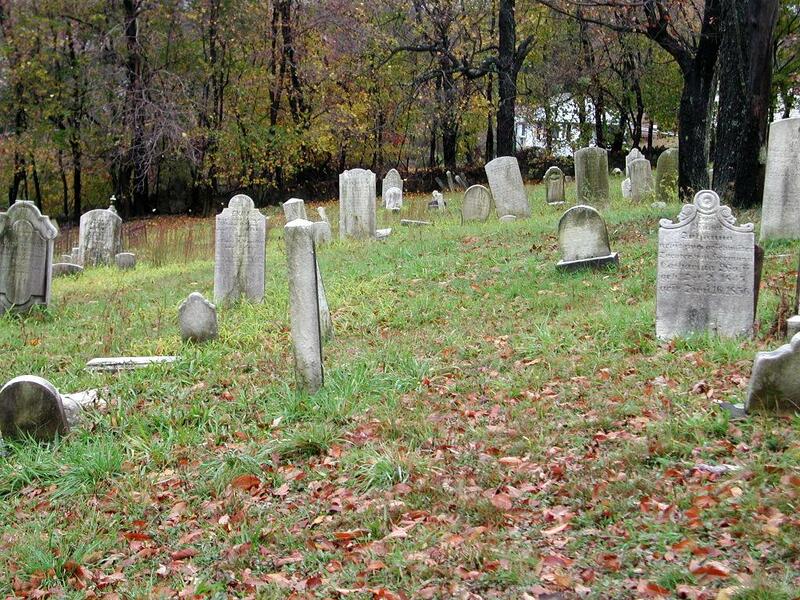 Although we do not know Mary's fate, the cemetery records mentioned above indicate that Jeremiah Thomas died 8 Oct 1865, at age 29, and was buried in the cemetery. Although her burial is not recorded, it is likely that my g.g.g. grandmother Mary Thomas is buried here as well. 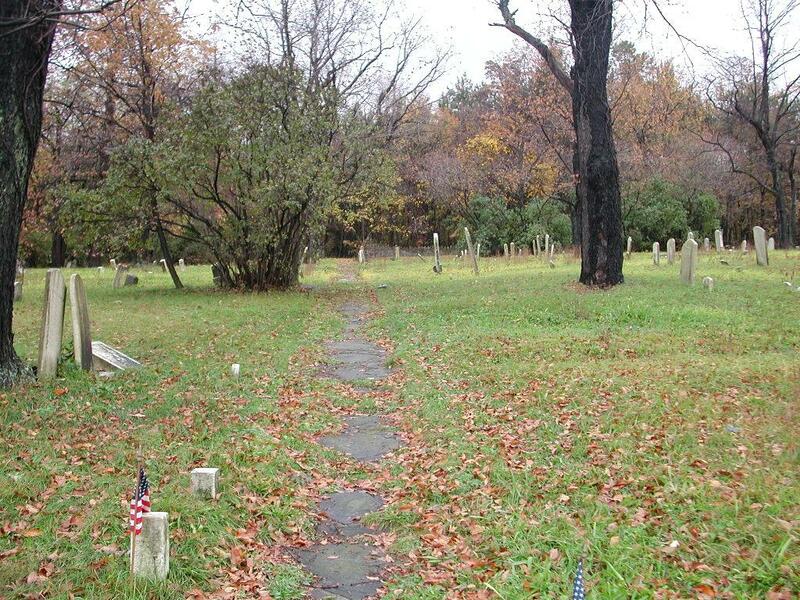 Below are several photographs of the cemetery, taken in October of 2006, and I welcome your comments or suggestions regarding this presentation.